Back in August, we noticed that a new version of the Motorola Skip had cruised through the FCC as a full-blown keyfob that could help you locate keys or your phone, and even act as a trusted device with Motorola phones. We fully expected to see this accessory launch around the time of the new Moto X. For whatever reason, though, Motorola buried the product for a couple of months, only to revive it today as the Motorola Keylink. 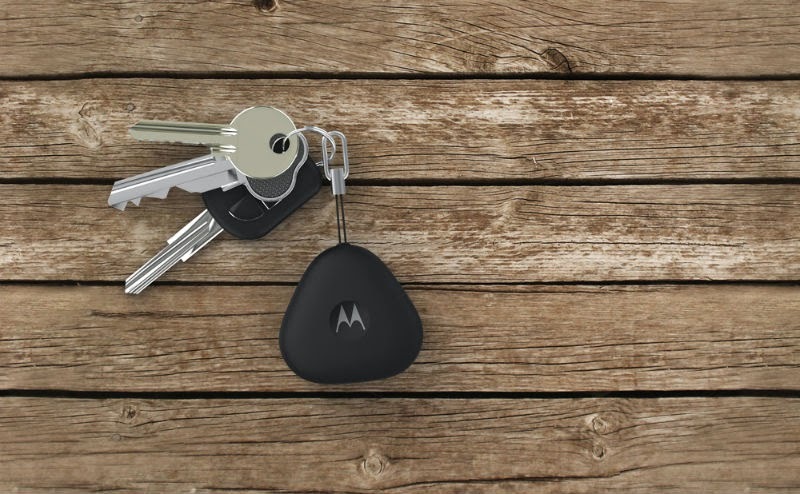 The Motorola Keylink is just as reported a couple of months ago – a keyfob that attaches to your phone via Bluetooth LE. It can help you find either your lost keys or phone up to 100 feet away. If you lose your keys, you can activate an alarm on the Keylink (assuming it is attached to your key ring) using the Motorola Connect app on your smartphone. If you lose your phone, the Keylink has a button that will make your phone ring. As an added bonus, if you own a new Moto X or DROID Turbo, the Keylink can be added as a trusted device to keep your phone unlocked when the Keylink is near. Finally, the Keylink has a battery that lasts upwards of a year and can be replaced as needed. The Keylink is available now at Motorola’s store and T-Mobile for $24.99.